A fledgling makes its first foray into the sky. With not a little apprehension, a young robin considers the possibilities and perils of its inaugural flight. Though it’s every bird’s destiny to spread their wings and leave the nest eventually, it’s a scary proposition. Just when the feathered protagonist decides to give flight a pass, its mom deems the moment right for a gentle shove, causing it to tumble clumsily from its safe haven and make awkward attempts to rise. Encountering a toothy cat below leaves the bird no choice but to keep pumping its wings in an escape effort—then, holy fluttering, robin!—up it soars like the expert avia(n)tor it was meant to be. 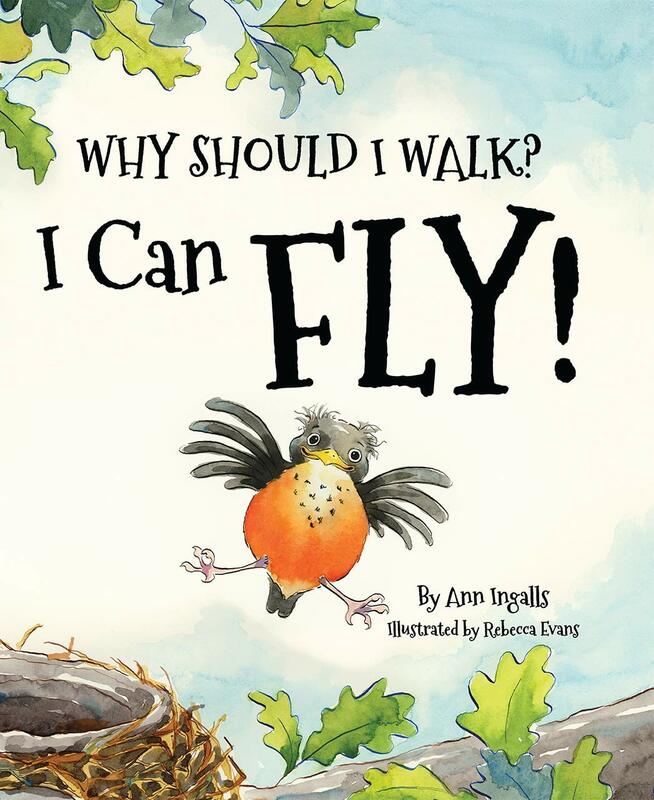 This is a charming tale, with the bird narrating fears and self-doubts, then exhilaration, in simple, lilting verse that aptly floats along breezily. Young readers/listeners will easily empathize as they contemplate daunting firsts of their own and take heart as they discover that pluck and practice win out. Equally appealing are the bright, delightful watercolor illustrations of the very expressive bird. (So saturated are they that the mother’s plumage looks darker than it does in real life.) Two double-page spreads of further information for children and adults extend the story’s usefulness with a child-friendly Q-and-A illustrated with photos and literacy and STEM activities.